Nice!! DVR will be set! Last edited by Lucididee; 10-15-2012 at 10:20 PM. Just bring this back up. I see on Dish channel 418 at 6 pm on Wednesday 24 in Northern Indiana the race is on. At 5 pm is H1 racing. 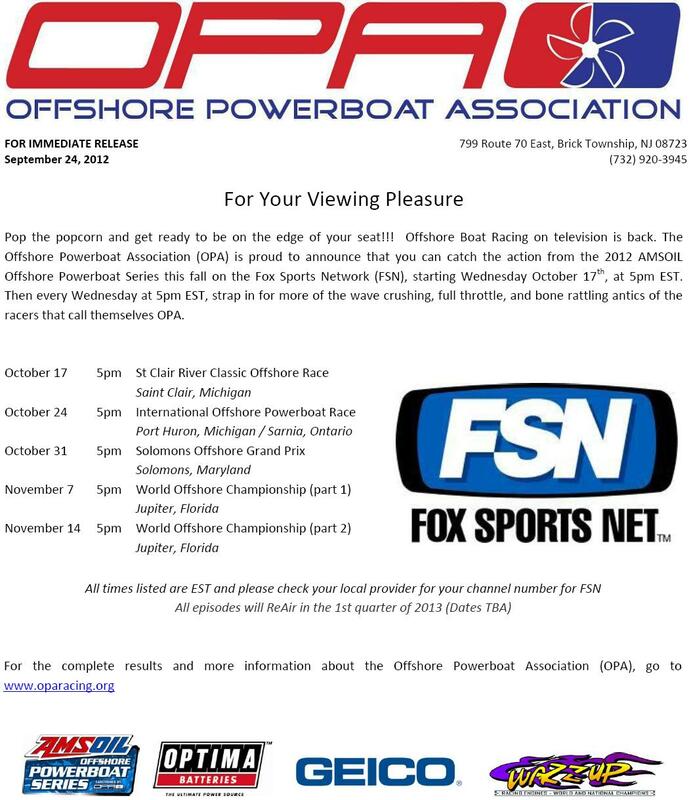 The 2012 St Clair River Classic Offshore Powerboat Race TV episode is now available ONLINE! Last edited by Lucididee; 11-02-2012 at 12:34 AM. The 2012 International Offshore Powerboat Race TV episode is now available ONLINE! The 2012 Solomons Offshore Grand Prix TV episode is now available ONLINE!